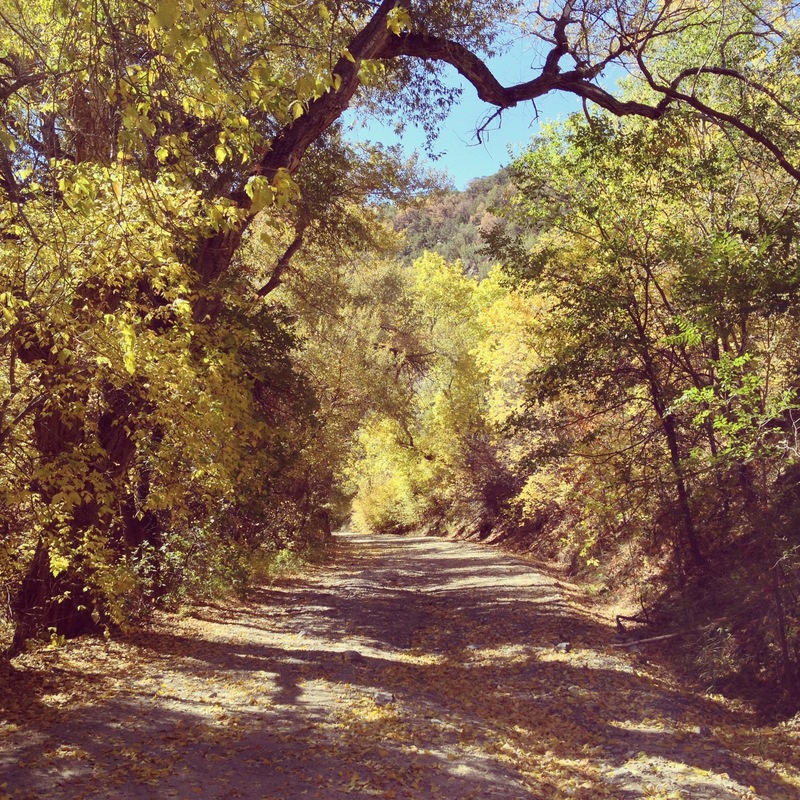 Around the Mountain – A great Fall ride! Its getting close to the time of the year when the temperatures begin to fall and the leaves change. Without the heat taking so much out of you, it is nice to partake in longer rides. One of my favorite rides in the metro area is known by the locals as Around the Mountain. 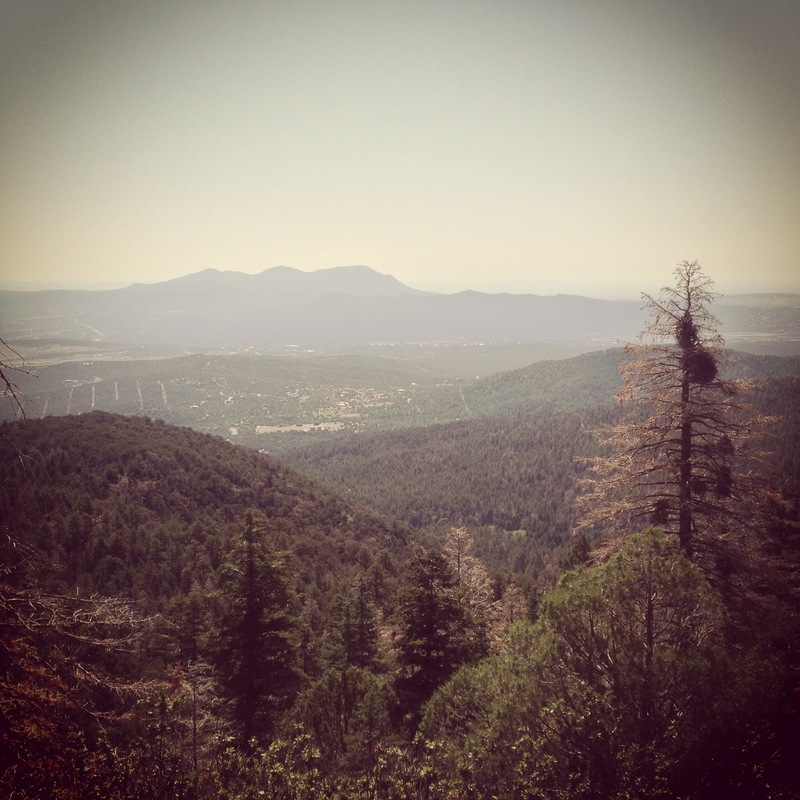 The ride takes you on a large loop encompassing part of the Sandia mountains. What makes this ride unique from others is the 7.3 mile climb on a dirt road. The rest of the day you are on well paved roads, but sometimes it is fun to mix it up a bit. Starting from the Albuquerque area the ride takes you North to Bernalillo and then up a pulsing climb through the small town of Placitas. Supposedly, there is a gang of wild horses that likes to hang out in the area. The road through Placitas offers many views of the Northwest side of the Sandias, including a great glimpse of the Knife Edge, a particular post I hope to put up soon! 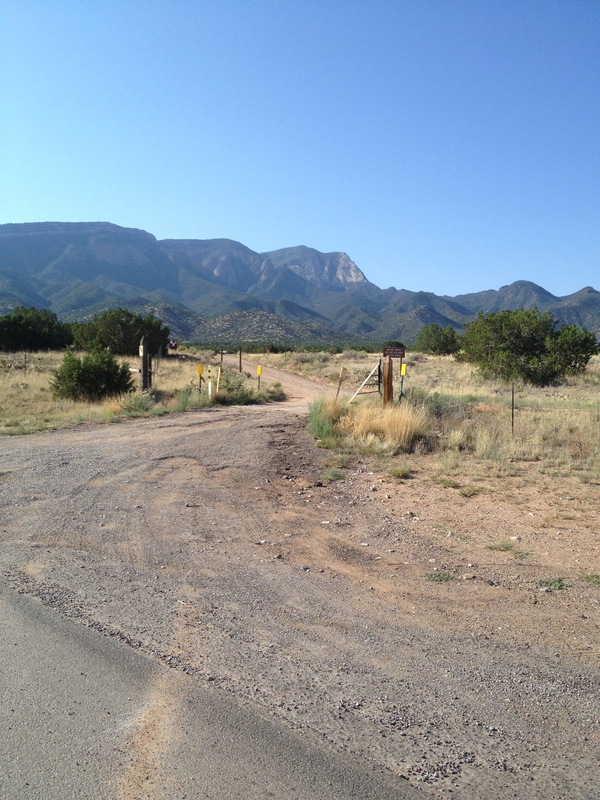 As you near the end of Placitas you can start to see Las Huertas canyon, where the real climbing begins. 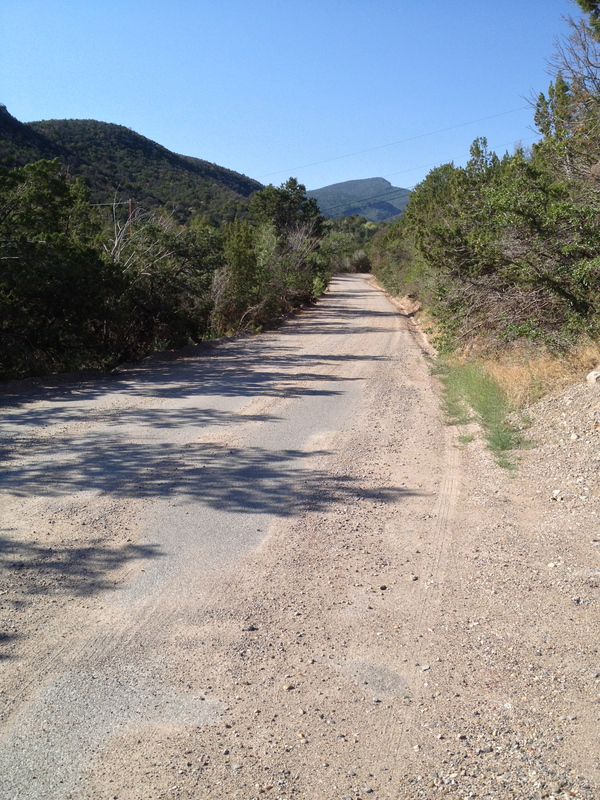 The paved road ends, the dirt begins and you hope your bike handling skills are up to par. On the weekends the road through the canyon is frequently driven keeping the dirt pretty compact, however, there is still a pretty good amount of rocks and other obstacles you’ll have to keep an eye out for. Some sections can get a pretty bad washboard effect on them as well, I try to stay near the edge on either side in an attempt to avoid this. The entire climb has an average grade of ~6%, but there is a 1.5 mile section in the middle of ~8% with 8%-11% pitches known as The Wall. If I can give any advice on this climb it is DON’T STOP! 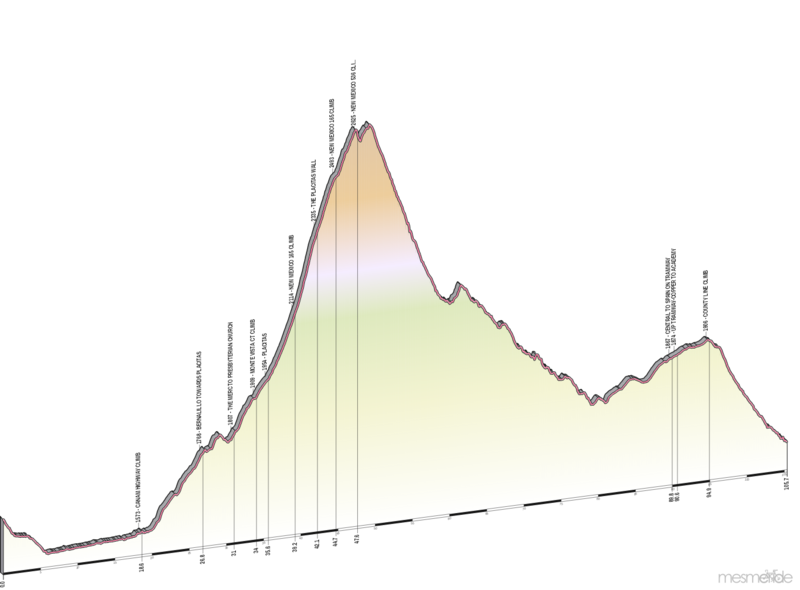 Besides the beginning and some flatter sections near the end, the entire climb has a pretty good gradient on it. 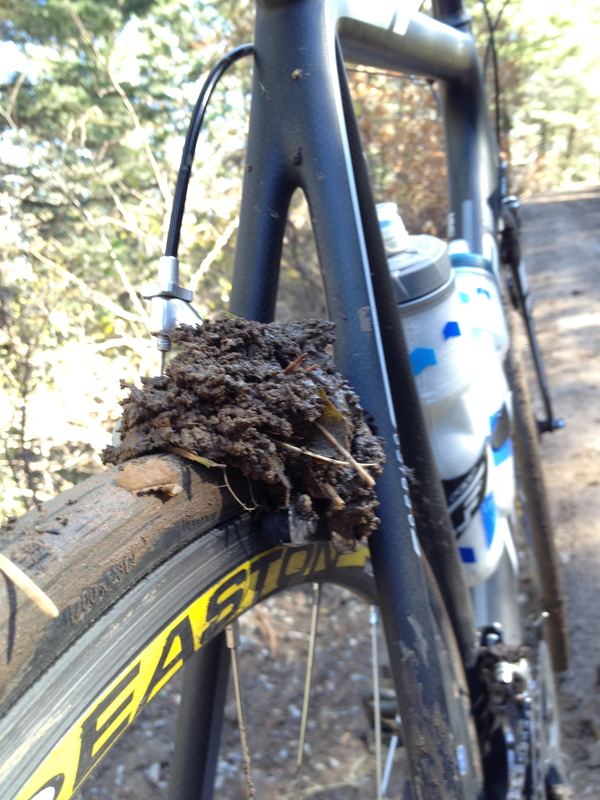 This, added with your slick road tires on dirt, makes it pretty difficult to get back on the bike pedaling. I’ve seen a few guys take spills when trying to get going again. I have had some really fun days riding in Las Huertas and doing Around the Mountain. The views of Palomas Peak and South Mountain are pretty awesome. A good amount of the road in the canyon is alongside a small creek that many of the inhabitants of Albuquerque don’t even know exists. Last year a group of friends and I went out to ride it. The week before parts of New Mexico had gotten some record rainfall. The conditions on the dirt road were amazing. No dust, compact and fast! Once we neared the end when the road loses gradient and is heavily shaded, the road was sabotaged with a lot of mud! We had to walk our bikes out the last mile. Not sure why we didn’t put record rainfall and dirt road together equals mud, but we ended up with a great story. The end of Las Huertas takes you to a nice picnic area near Sandia Peak Ski Area where you can regroup and eat some snacks. You then get to reap the benefits of such a long climb, a twisty-turny descent! This is my favorite descent with wide turns and cool air. 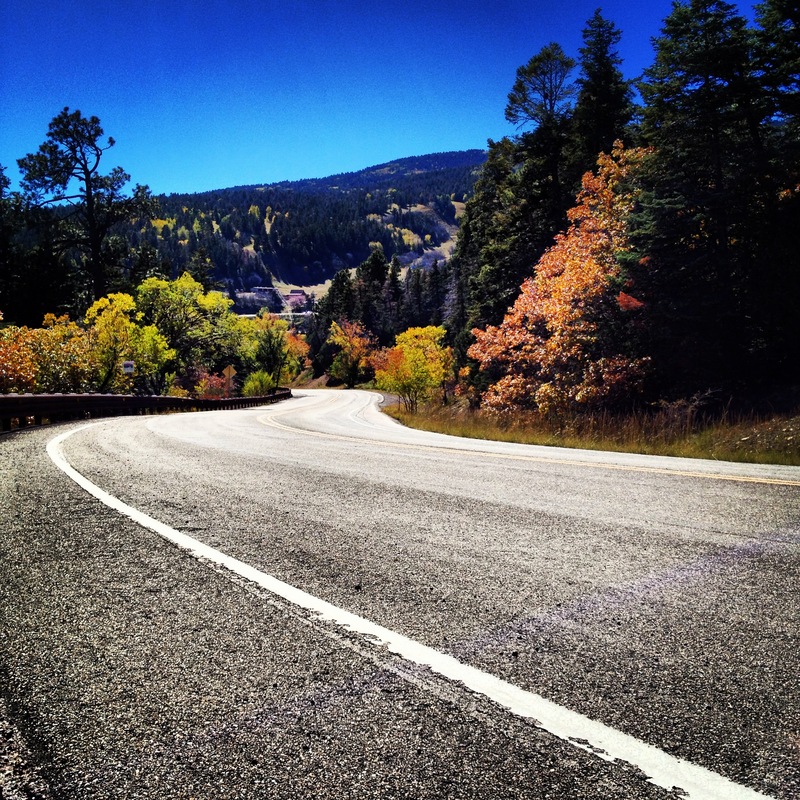 Minus a few short climbs, the majority of the ride back into Albuquerque is downhill as you cruise through the towns of Cedar Crest and Tijeras and East on old Route 66. 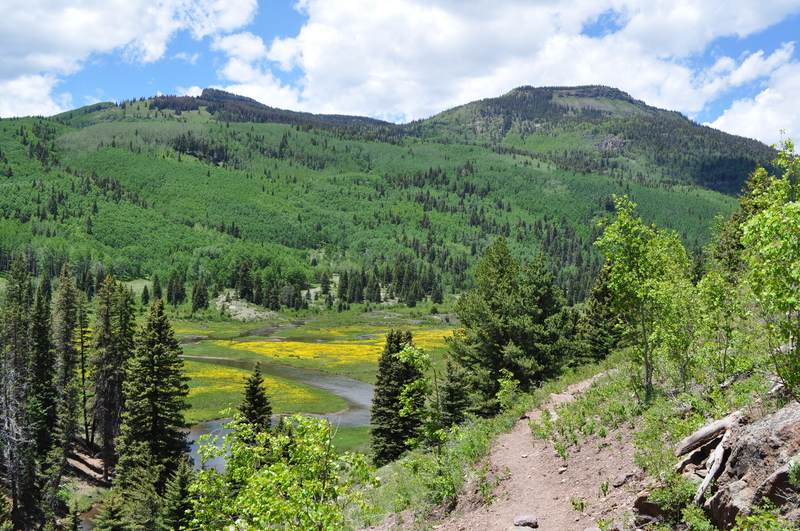 Another fun option is to take Frost road about a mile and descend down Gutierrez Canyon to avoid the traffic of Tijeras and Cedar Crest. If you plan wisely, you could end your ride at the County Line for some BBQ and BEER! Here are some more pictures for you! I did this ride a few times in 1990. Once with a 53/42 and a straight block in the back. Sometimes we made a right turn at the end of the dirt road and went up to the top then came back down. Most times though we were already out of sugar and took the left turn headed straight for Nunzio’s near UNM. Arthur – thanks for the comment. It is definitely a great route. The right turn does give some pretty good bragging rights. Good times!